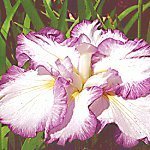 Click on thumbnail for a bigger picture; use browser Back button to return. 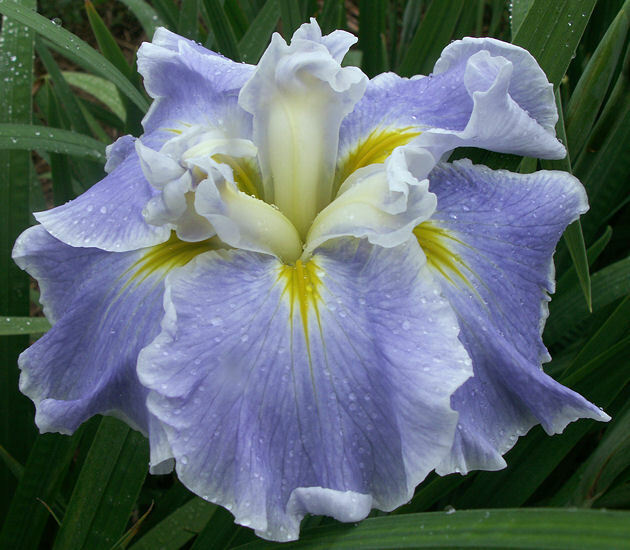 Lake Effect $12.00 (Bauer/Coble 04) 6F. 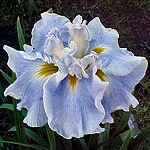 Very nearly true blue w/ light blue edges. 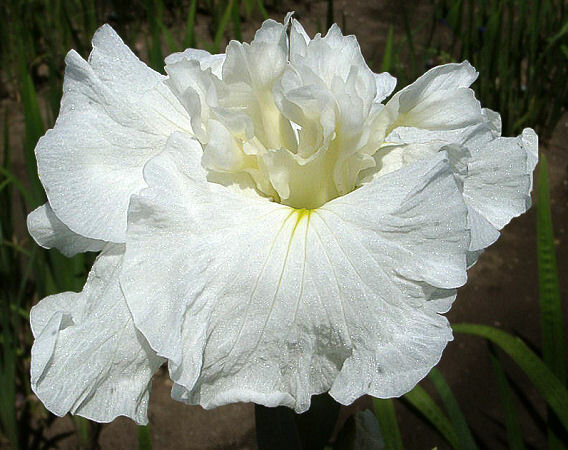 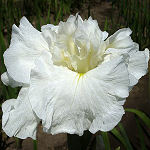 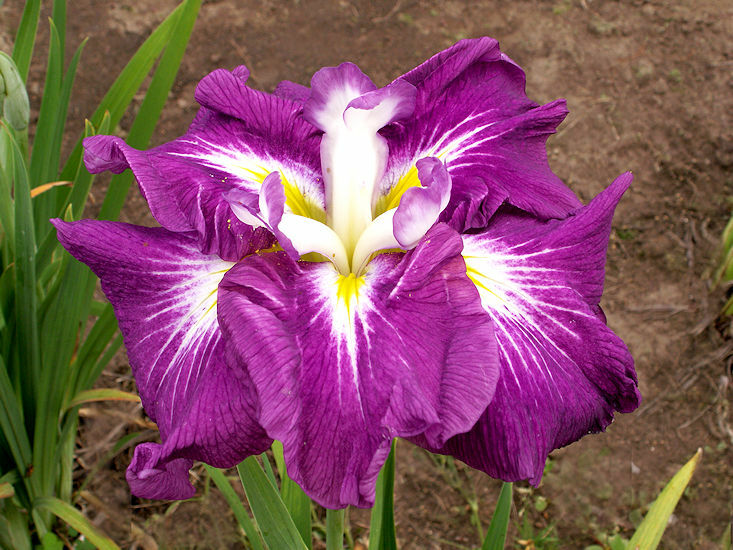 Ruffled, modern flared form. 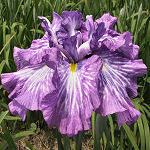 Lion King $12.00 (Bauer/Coble 96) 9F. 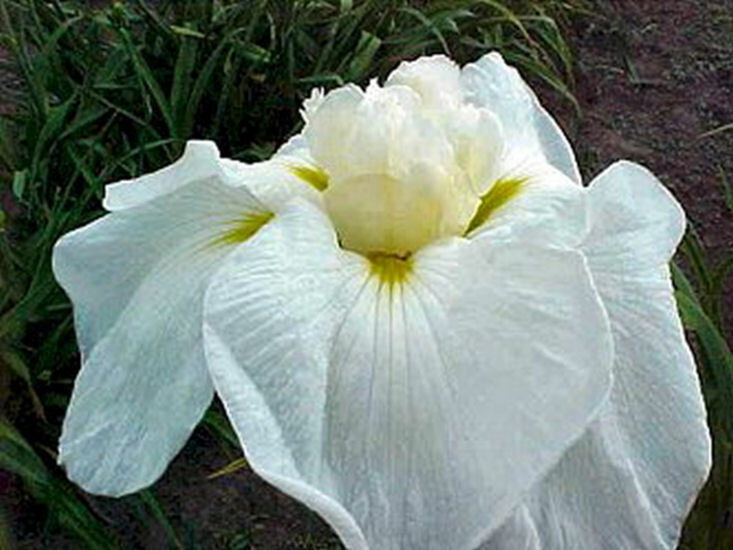 Layered rose-edged petals with white centers; white styles. 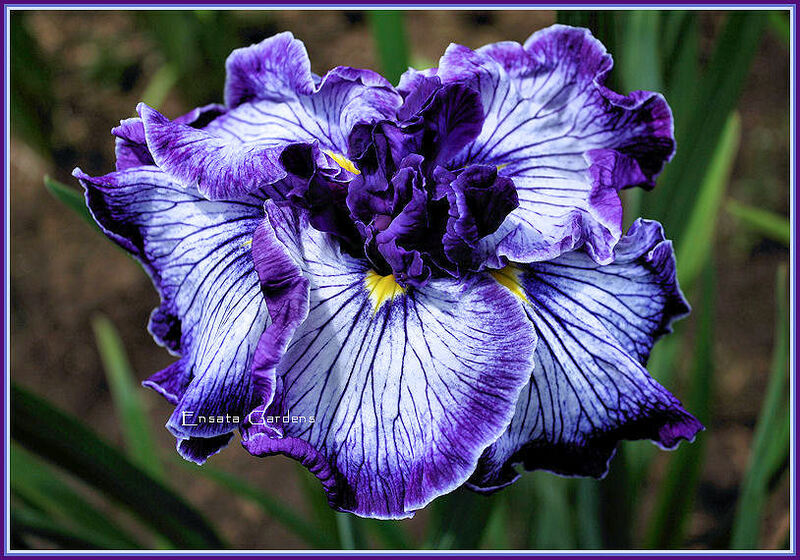 Roar! 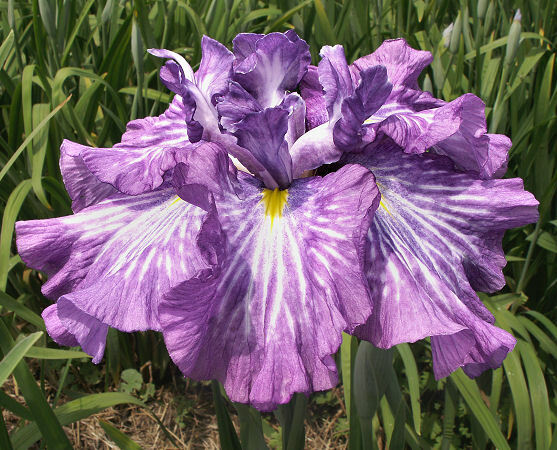 Peacock Strut $12.00 (Hirao/Hager 78) 3F. 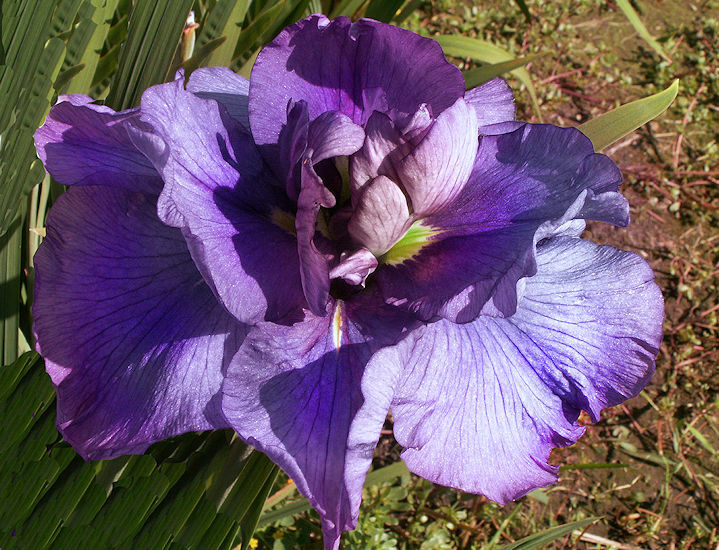 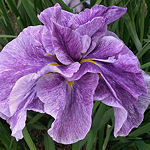 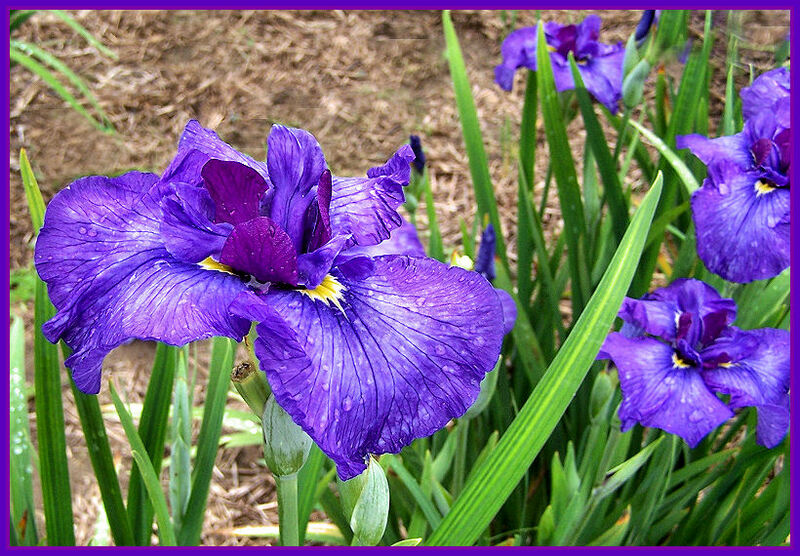 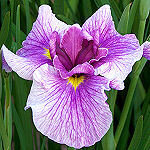 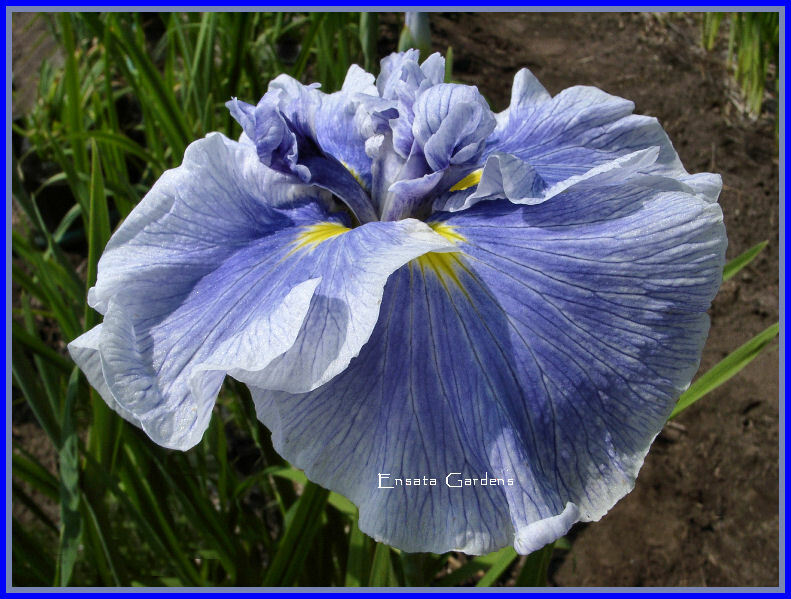 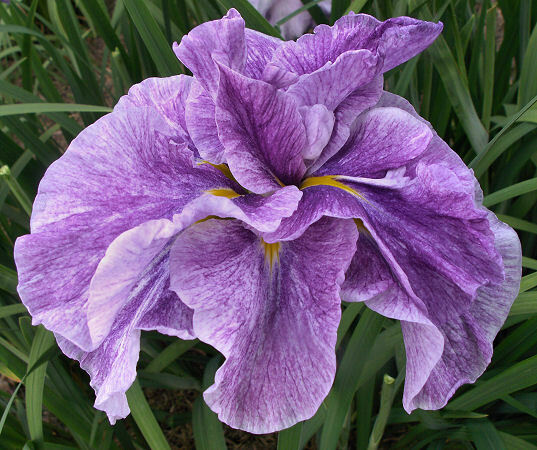 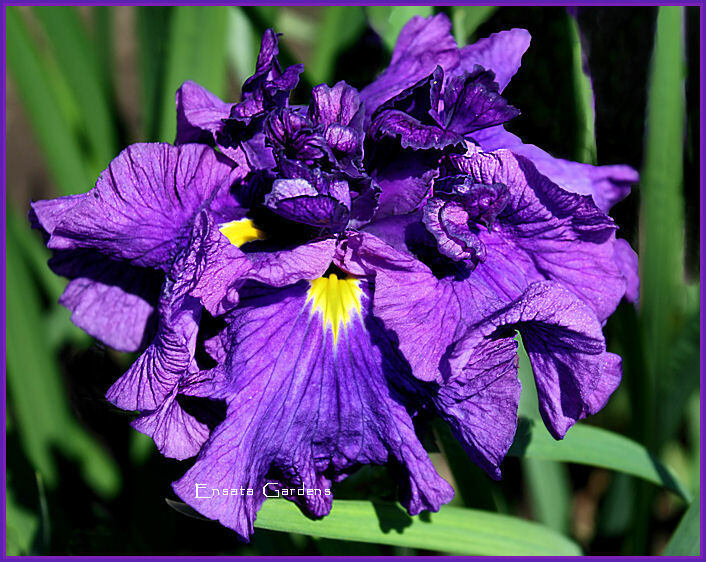 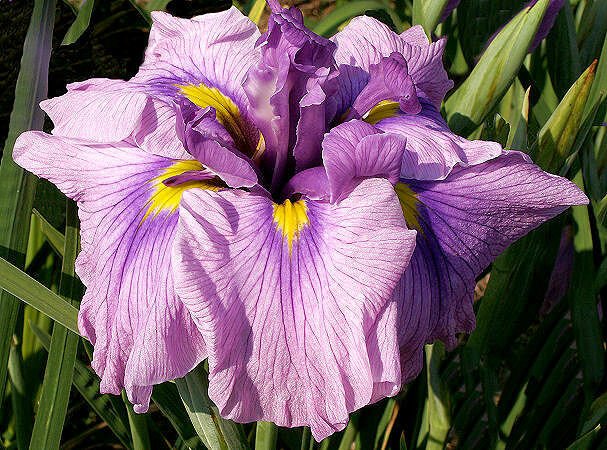 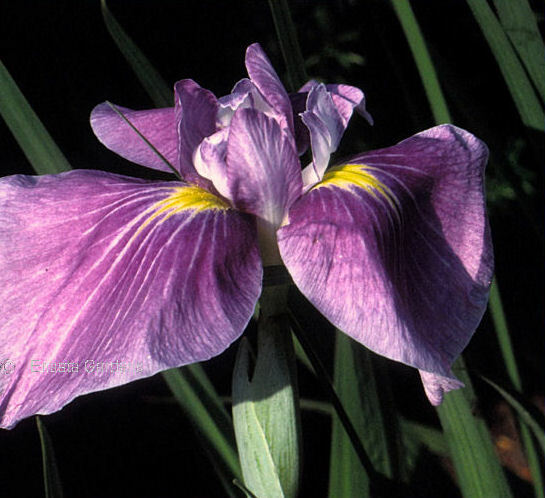 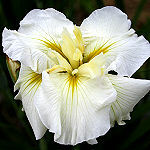 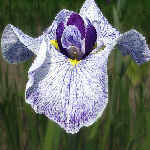 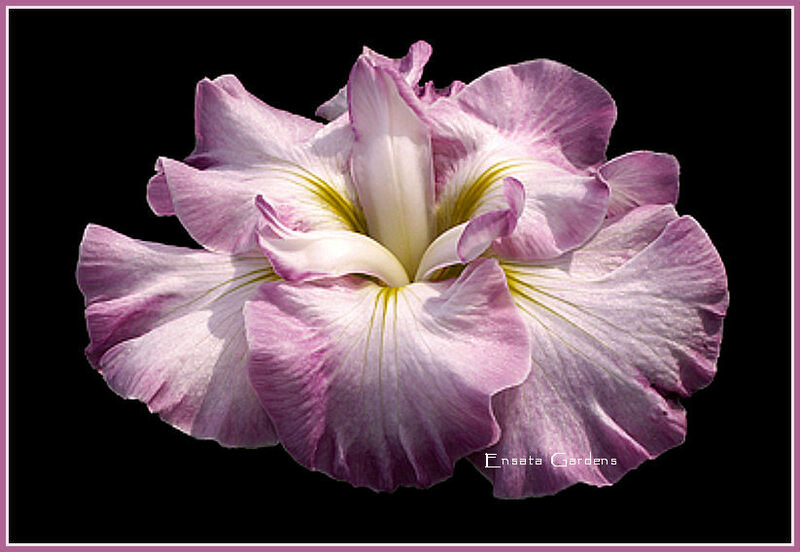 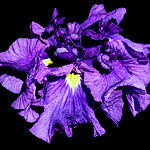 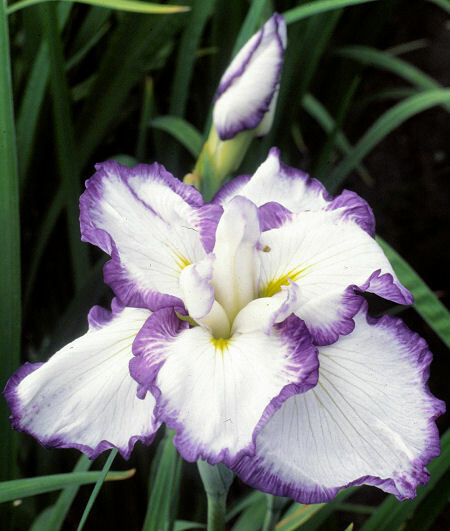 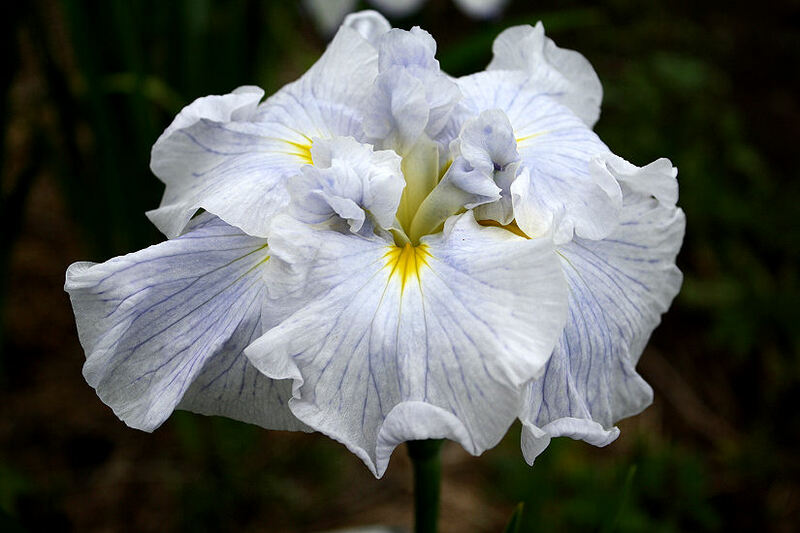 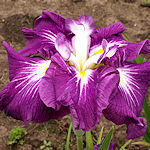 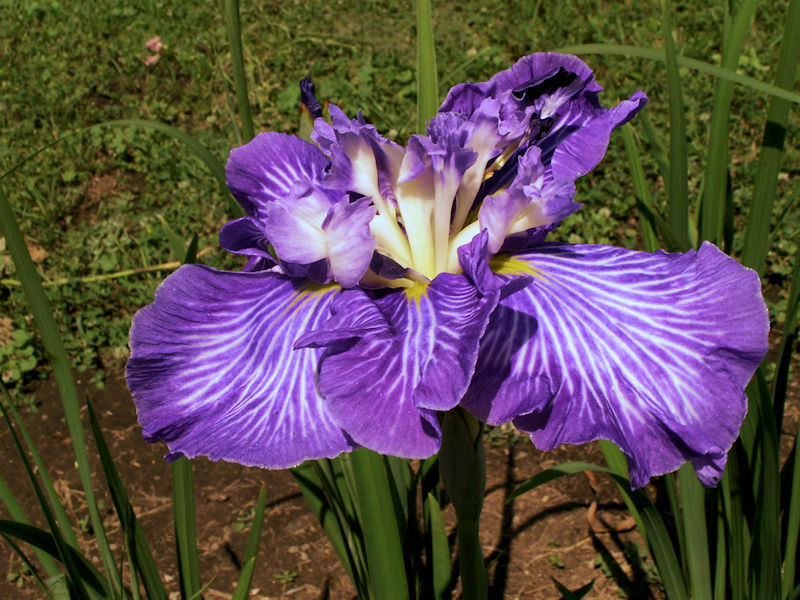 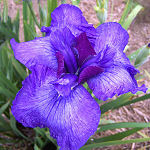 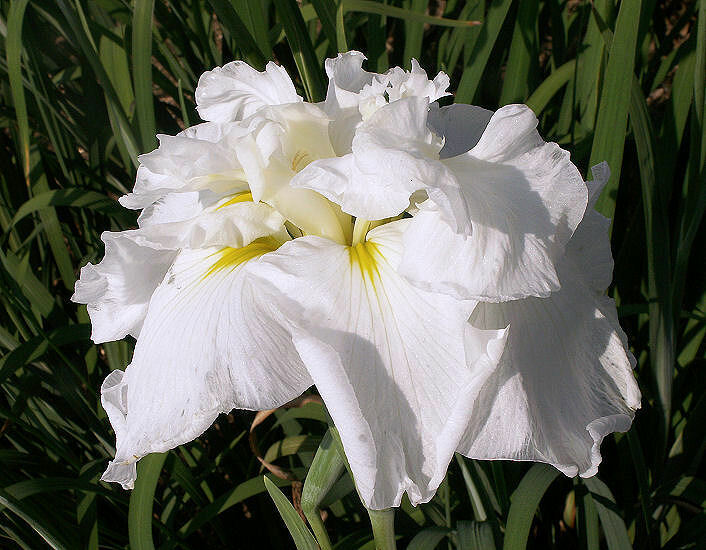 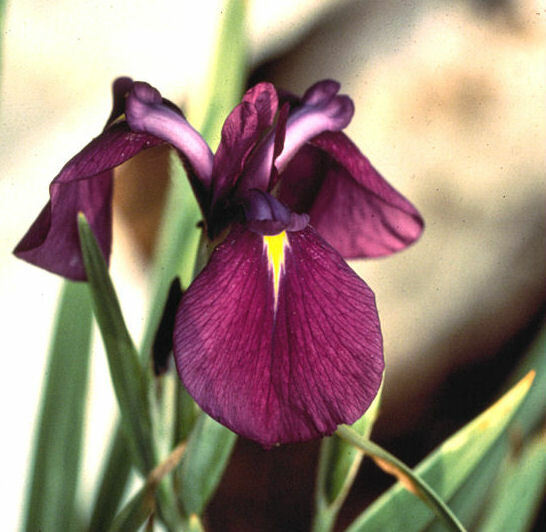 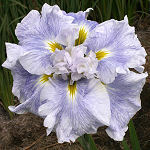 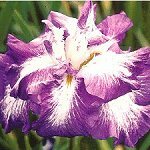 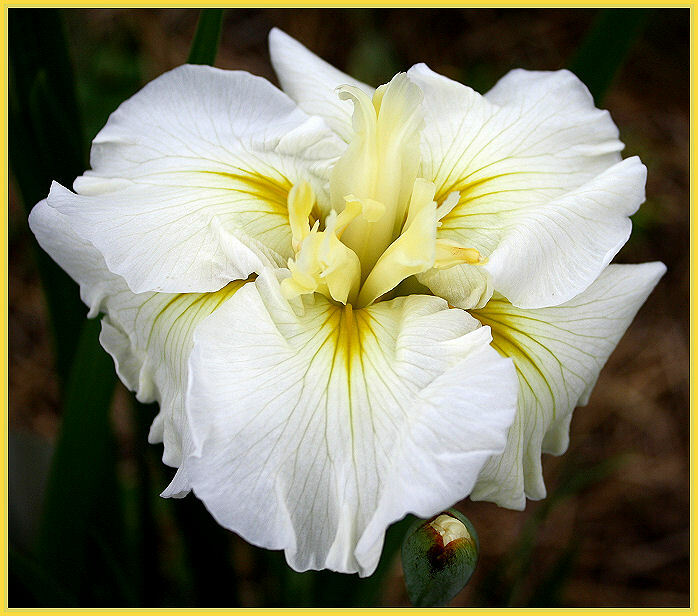 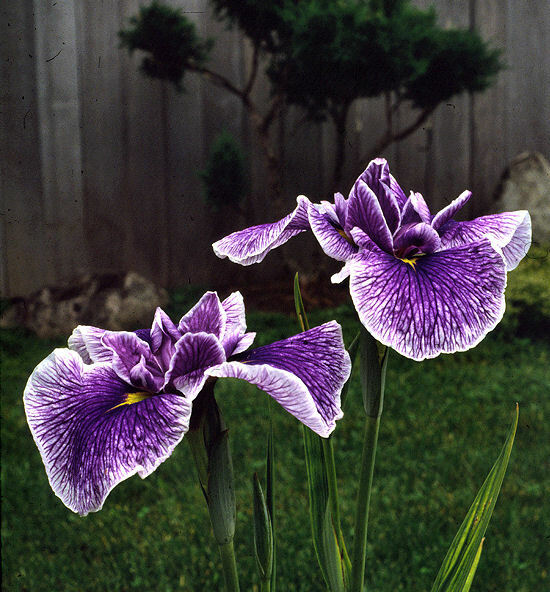 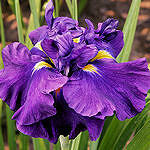 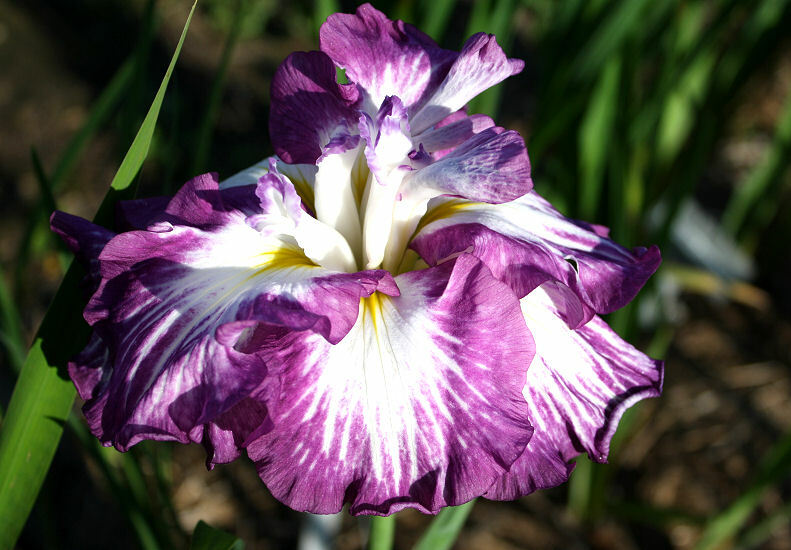 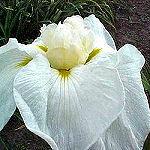 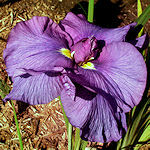 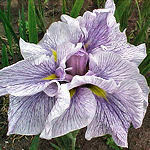 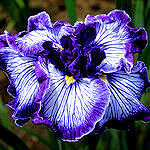 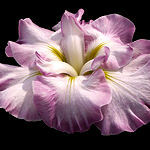 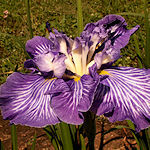 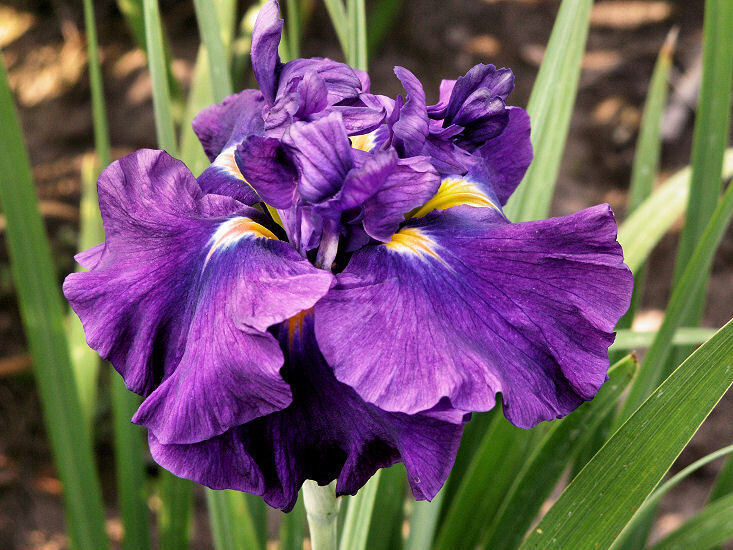 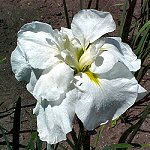 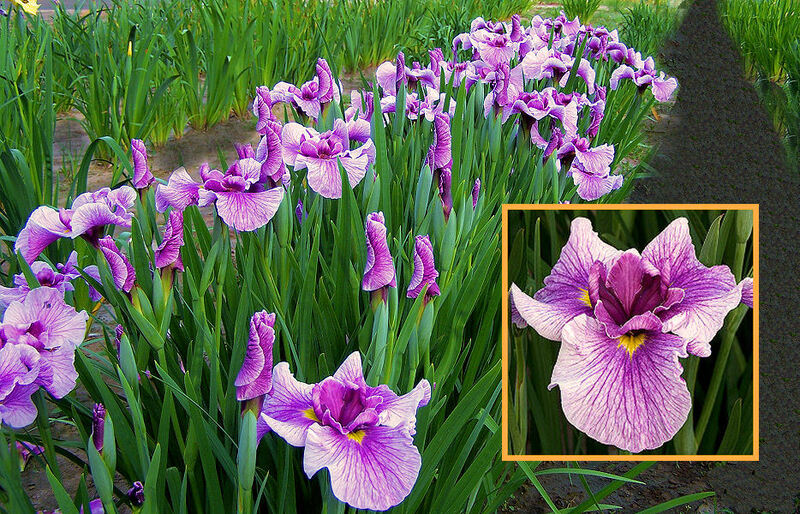 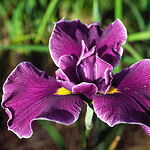 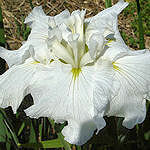 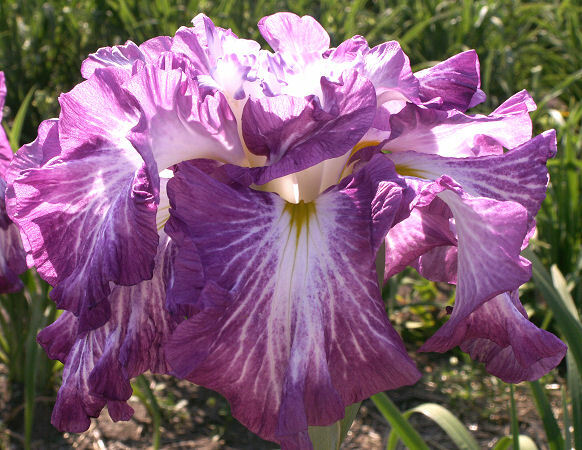 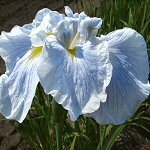 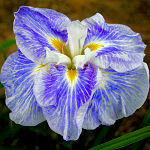 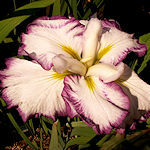 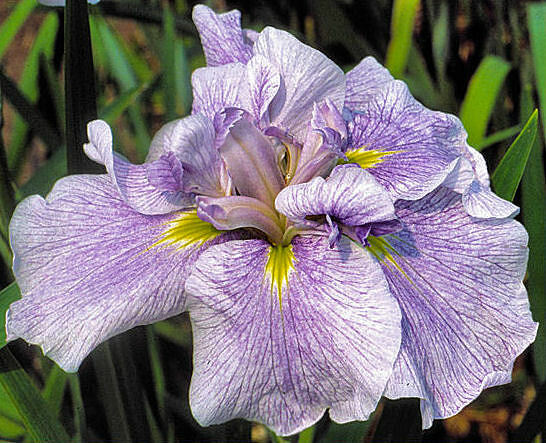 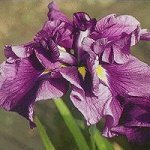 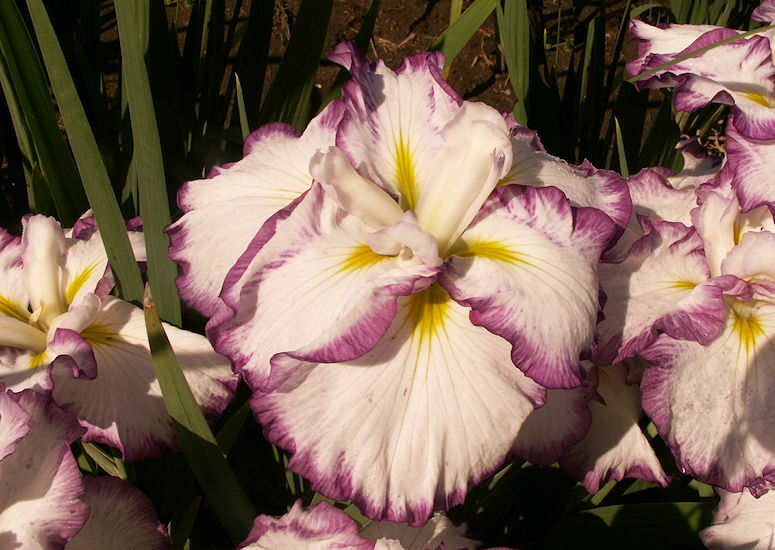 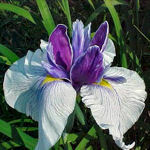 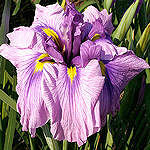 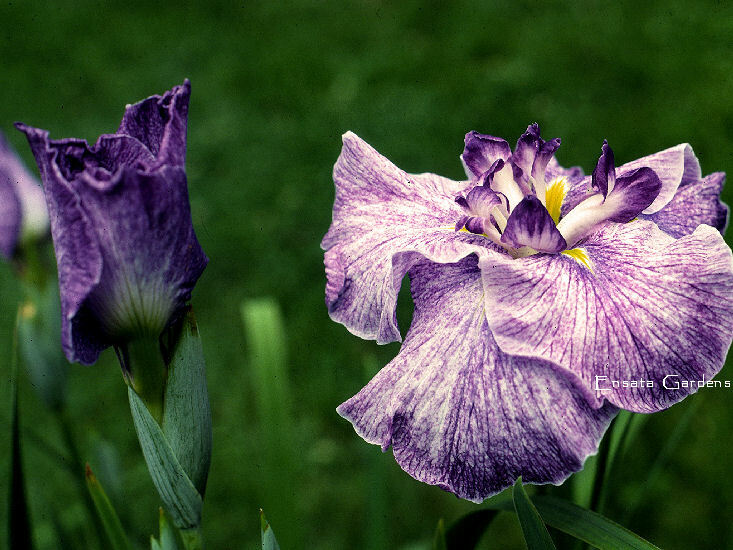 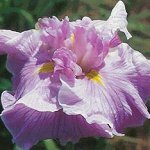 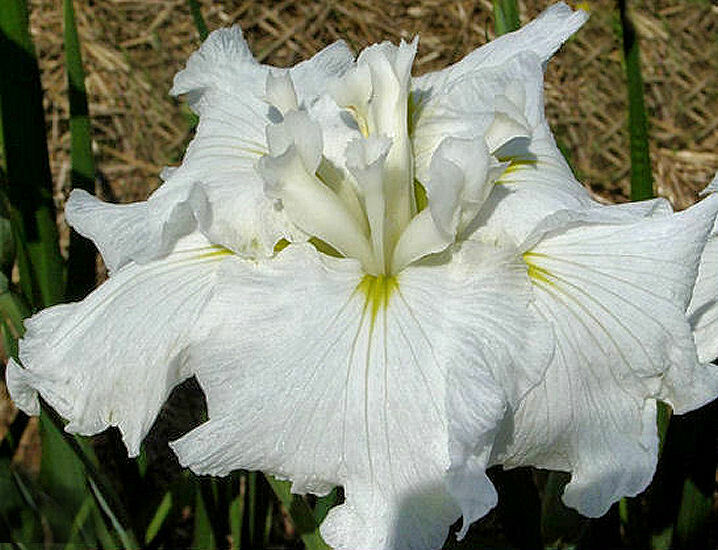 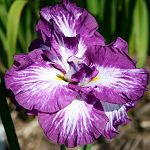 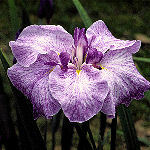 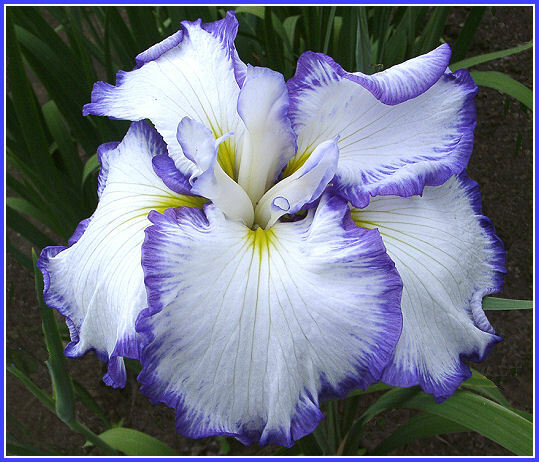 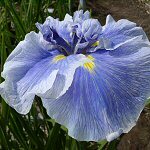 S. violet w/ white centers; F. large white centers to blue-viol borders. 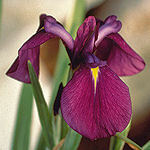 Silent Thunder $10.00 (Bauer/Coble 96) 9-12F Multi layers of rose-violet with dark violet style crests. 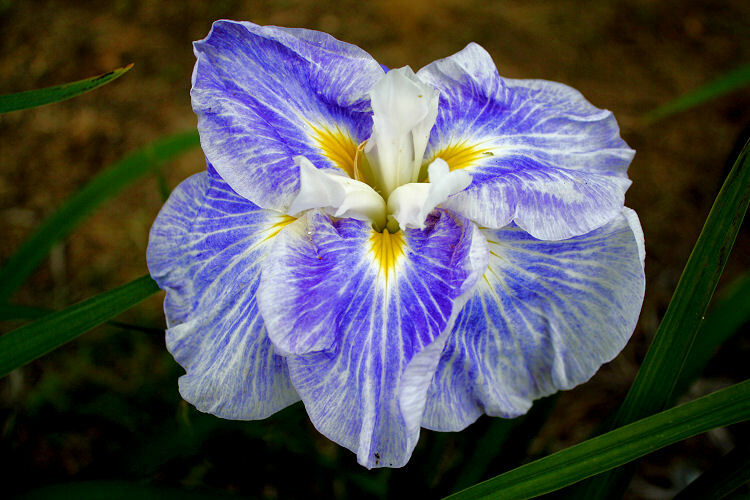 Late.